YOKOHAMA's A032-R in now well established in the motorsport arena. With multi radius tread profile, symetric tread pattern and advanced high grip tread compound options all contribute to improving the traction, braking and cornering performance in both wet and dry conditions. 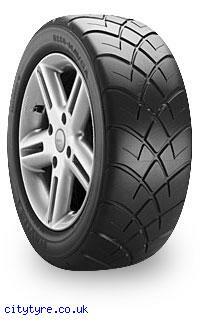 The A032-R is the tyre by which others are judged.